The premium Smash 7.0 built for indoor outdoor play. Black 4mm play surface, matching net and net clip set. Rugged silver undercarriage designed for durability and stability. Easy fold-up system for individual play or quick and convenient storage. 4mm Aluminum-clad ABS / Indoor/Outdoor Play Surface. White on deck / Black on framing - screened. Premium net and net clip set included. 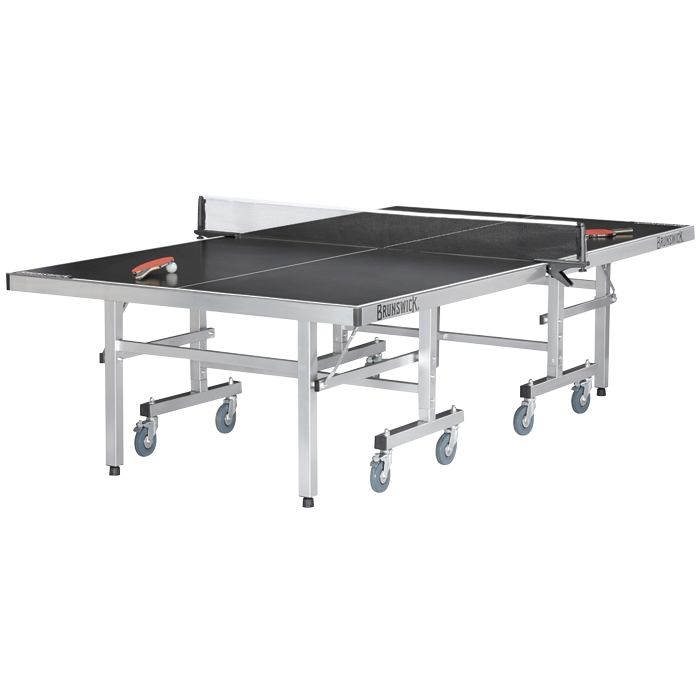 107.9"L x 60"W x 29.9"H.
36"L x 60"W x 63"H.
Brunswick warrants that its Table Tennis Game Tables and its Table Tennis Conversion Top will be free from defects in materials and workmanship for one (1) year from the date of purchase as long as the product is owned by the original Owner. 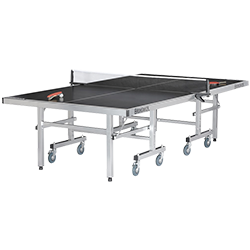 Brunswick Smash 7.0 Indoor / Outdoor Table.